It's free, fast (usually the same day), and efficient ! Submit your case to info@billproduction.com and receive a customized answer ! 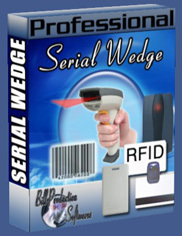 BillRedirect Serial Wedge software enables serial port RS232 barcode scanners, Proximity, RFID or any other devices to communicate with your Windows applications. 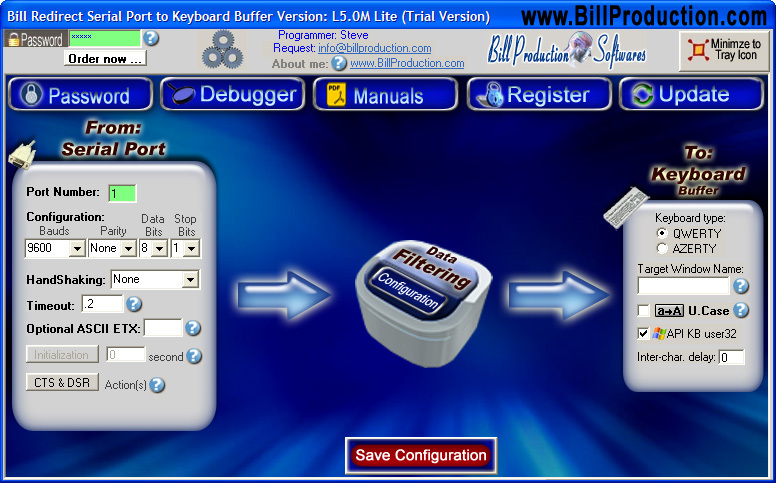 This allows information to be entered directly into Windows programs as if it was typed in using the keyboard. 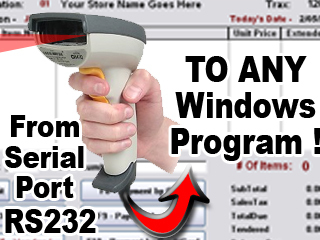 Input serial data directly into EXCEL and POS Programs. It is extremely easy to use and 100% reliable. Very easy to use - one screen, one minute set-up (Free support). Supports multi serial COM port RS-232 on the same computer. Supports password protection of set-up files. Fully compatible with any PC or laptop. RFID ISO 11784 and 11785 HITAG ALLFLEX animal Ear Tag Farm. ** No programming or additional hardware required ! * You can use your license with the Lite and Full interface. * You Don't need a PayPal Account to place a Credit Card Order. 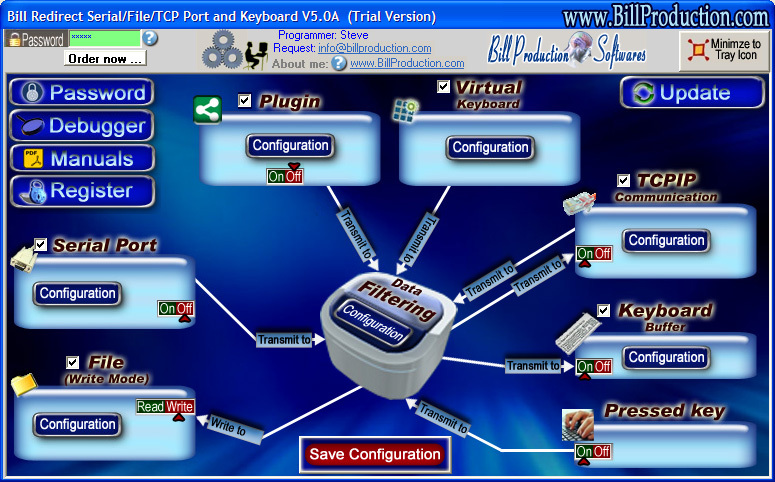 Simply the best redirect and virtual keyboard software available !